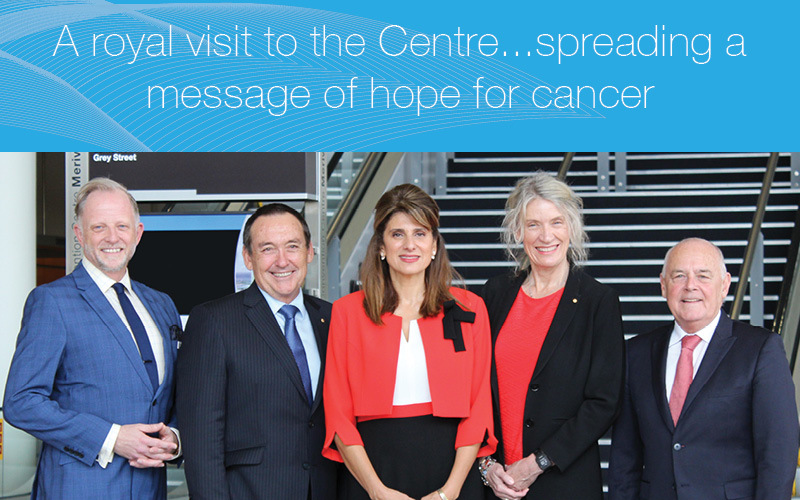 Her Royal Highness Princess Dina Mired of Jordan, soon to be president of the Union for International Cancer Control (UICC), visited the Centre recently as guest of Griffith University’s Menzies Health Institute Queensland at a private reception to meet members of the local cancer community. Princess Dina is a global advocate for cancer control and the mother of a cancer survivor. She is a leading figure advocating for early detection and screening of breast cancer for women in Jordan. She led the King Hussein Cancer Foundation in Jordan as Director General for 15 years, transforming the non-profit into an internationally known brand and leader in the global movement for people affected by cancer. Hosting the Princess during her Brisbane visit was BCEC Advocate, Professor Suzanne Chambers AO, former Director, Menzies Health Institute, Queensland, which is a hub for cancer survivorship research, and Professor Jeff Dunn AO who sits on the UICC Board and was until recently CEO of Cancer Council Queensland. Welcoming the royal visitor to the Centre was BCEC General Manager Bob O’Keeffe and Event & Customer Services Director Shaun Mitchell. Professor Chambers, who is well known internationally for her research into the physiology of cancer and work with prostate cancer patients, has taken up a new role as Dean of the Faculty of Health at Sydney’s University of Technology. 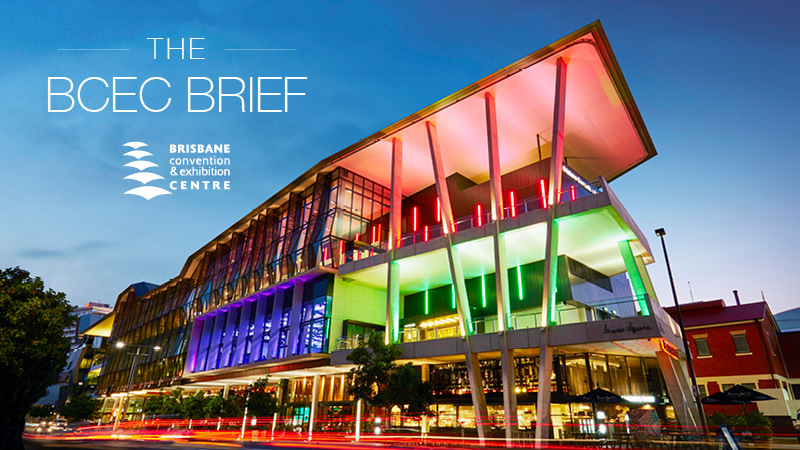 Just a few of the eclectic mix of topics covered at recent events held at the Centre during what is shaping up as a bumper conference year for Brisbane and BCEC. 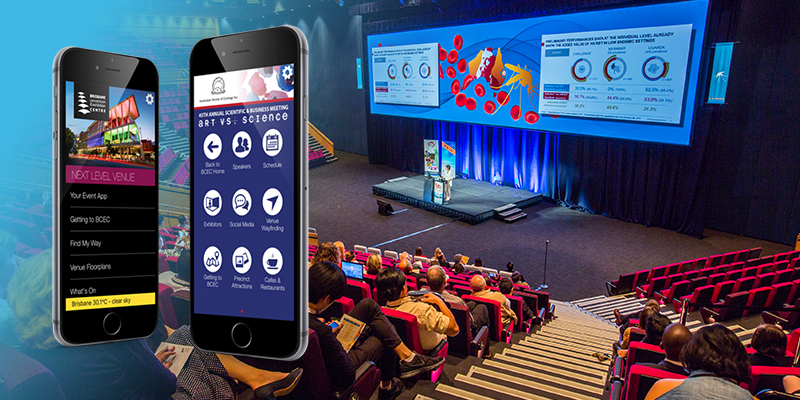 The 14th International Symposium on Digestive Physiology of Pigs, 42nd World Hospital Congress, World of Drones 2018, International Conference on Radar 2018, World Congress of Political Science (IPSA) 2018 and Global Forum for Innovations in Agriculture (GFIA) 2018 head up a busy calendar this year with the Centre set to host a record 166 conferences. A quick snapshot of a recent busy month for the Centre reveals 73,567 visitors through the doors who managed to eat their way through four tonnes of fresh fish, 650kg of asparagus, 500kg avocados, 14 tonnes of fresh vegetables and four tonnes of beef. And the pipeline for future conferences is strong with 477 already on the books and a spate of new high profile international conferences recently confirmed for Brisbane and the Centre – the work of BCEC and key convention partners, Tourism and Events Queensland and Brisbane Marketing, including the 145th International Air Transport Association (IATA) Slot Conference 2019, the world’s leading head and neck cancer congress, The World Congress of the International Federation of Head and Neck Oncologic Societies (IFHNOS) 2026 and World Congress of Pharmacy and Pharmaceutical Sciences (FIP) 2021. BCEC is preparing to welcome Meetings and Events Australia’s new look annual conference Evolve 2019 on 31st March to 2nd April. 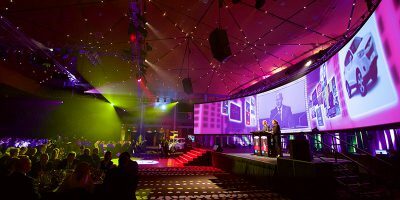 Evolve is the Australian event industry’s largest conference attended by delegates from across the country who work in the events sector. With the recent announcement it was shifting from annual themes to just one name for the future – Evolve 2019 will ring in a new era for MEA reflecting the changing nature of the industry and events themselves, according to CEO Robyn Johnson. With a strong focus on supporting, educating, challenging and engaging delegates to help grow their businesses and achieve success, next year’s annual conference is expected to attract record attendances. The theming and timing is right for Brisbane which is on a fast trajectory of infrastructure development including a second runway, doubling Brisbane’s capacity with more direct flights into the city and putting us on a par with Hong Kong and Singapore. Work has commenced on the Queen’s Wharf Tourism and Leisure Precinct, set to attract an influx of international visitors and major inner city transport network development for faster and convenient commutes around the city centre. And with a host of new hotel openings across the city and in the South Bank Precinct just a few minutes’ walk from the convention centre, Brisbane is ready and waiting to welcome delegates heading to Brisbane for the conference. Meet Mathew Lee, BCEC Sous Chef and an incredible young man with a huge amount of talent in the kitchen. Since starting on BCEC’s apprenticeship program he has been catapulted into the catering world, working his way through Europe in top restaurants, succeeding on the competition scene and bringing his wealth of knowledge back to BCEC. We managed to catch Mathew for a Q&A session to learn about his journey as a chef…. Did you always have a passion for food and being a chef? Becoming a chef was not in my childhood plans, but growing up I spent a lot of time in my grandfather’s bakery. During school I somehow fell into cooking as an elective and when I was a teenager I worked for a couple of years in a small bakery, which is where a job turned into a passion for me. I moved to Brisbane in 2007, arriving at BCEC as a kitchen hand at 17 years old. From this moment an incredible journey began – my desire to learn, my interest in food and hospitality, the opportunity to be creative, travel and challenge myself on a daily basis drives me to this day. You started out on the BCEC apprenticeship scheme, what has this done for you professionally? BCEC has supported and encouraged me in my career from the moment I walked through the doors – throughout my apprenticeship, my time in Europe and beyond. I took the opportunity to work in Europe after representing BCEC and Australia in the internationally recognised competition Bocuse D’Or (chef Olympics). I have worked in some of the world’s top restaurants including Richard Branson’s former restaurant, ‘The Roof Gardens’ in Kensington and then on to his 2AA Rosette Restaurant ‘Babylon’. In Madrid, I worked in the highly awarded Paco Roncero’s 2 Michelin Star restaurant ‘La Terraza Del Casino’ before joining ‘La Cabra’ – Javier Aranda’s Michelin Star restaurant. It is wonderful to be back at BCEC as Sous Chef using my skills and experiences, assisting in new menu development with the opportunity to enhance the overall dining experience for our guests at the Centre. Martin, my Executive Chef, and Lalith, my Executive Sous Chef, are great mentors and role models to future chefs of Australia. What is one kitchen tool you cannot live without? It might sound cliché, but my knives are by far my most useful tools in the kitchen. My favourite is one that was given to me by a chef I worked for in London when he retired – it’s perfect for fish. What is your favourite meal to cook at home? Chorizo and caramelised onion Spanish Tortilla with tomato salsa and sourdough – a recipe I learned from my partner’s grandmother when I was living in Spain. It is a great dish to take to a barbeque instead of the ol’ potato salad or even for the family lunch and is a simple recipe you can do in advance. You can also swap the chorizo for roasted red pepper for a vegetarian option. Why not download Mathew’s recipe and give it a go yourself! Our Audio Visual and Production Services team provides solutions to keep you on trend with your events whilst also creating interactive, multi-sensory environments for your audience. Looking for inspiration? You’ve come to the right place. Create a completely immersive experience with projection mapping for your next event. Coat the wall with digital imagery, landscape, cityscape – you name it! Adding to this, the team has recently purchased a WATCHOUT. This is multi-display software used to manage a range of media including videos, images, animations, live feeds, sound – then play it back on multiple displays. In other words, we can now really WOW your audience by perfectly synchronising multiple screens right-on-cue. 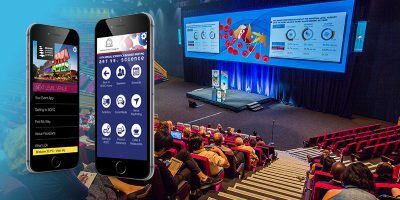 Event and conference apps can engage and empower delegates whilst also giving valuable insights, data and feedback to organisers. 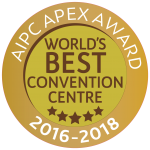 Our AV professionals are masters at creating custom designed technology for every event. Adding to our popular Free Conference App, we have also included an additional three hours of client support. With our technology packages, you also have the opportunity to upgrade to premium interactive features such as live polling, Q&A sessions, lead capture and attendance tracking capabilities. We are excited to be hosting the BCEC Salvation Army Christmas Lunch for the tenth year this December. Our General Manager, Bob O’Keeffe, will lead a small army of BCEC staff in volunteering at the lunch, preparing and serving 500 families. The Salvation Army partners with us to give hope to hundreds of adults and children at Christmas, supported by our generous suppliers Bidfood and their suppliers, and Village Roadshow who once again is providing 500 family passes to the theme parks. With thousands of families across South East Queensland facing tough times and heartbreak at Christmas time, The Salvation Army lunch brings the joy and magic of Christmas to the families and children under the care of The Salvation Army’s many programs.